The obstacles, surprises, and moments of grace that Jennifer Grant experienced, working through the adoption process to bring home her daughter from Guatemala, forever changed her life. Love You More tells Grant's deeply personal story of adopting her daughter, Mia. The process confronted her notions about what family means, pushed her into uncomfortable places, and--despite the waiting, adjustments, and challenges of a blended family--brought abiding joy. 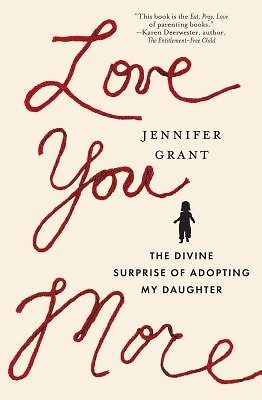 Written for all parents but especially those interested in adoption, Love You More includes discussion questions, tips for prospective adoptive parents, and suggestions for readers on how to reach out in love and support for the world's most vulnerable people, including orphans.